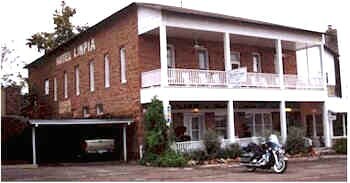 Hotel Limpia is one of the best kept secrets in Texas. 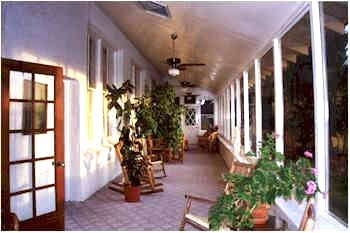 The Hotel was originally established in 1884 near the fort. Around 1913 the Union Trading Company built a new more modern Hotel building. This building is pictured to the left. After a fire in 1953 the hotel was used as office space for Harvard University astronomist and apartments. The building was put back into the hotel business in 1978. The hotel has been modernized but not too modernized. There are no phones in the rooms however I did get to check my email in the hotel office one morning. 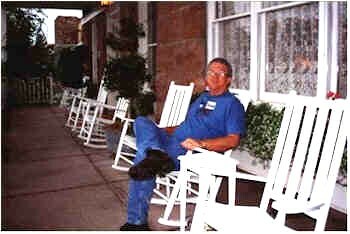 There are also lots of rocking chairs and wonderful open and closed porches to rock and relax the day away. The time we spent at the Hotel we felt like we were in a friends home as their guest. Airy porches and a cozy living room that begs to lived in. There is always a jigsaw puzzle half done on a living room table for those who wish to wile the evening away. And weather permitting a cozy fire in the fire place. 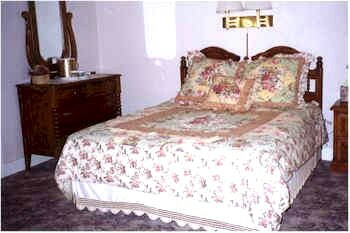 The hotel has cozy home like guestrooms with luxurious linens on the bed and unique pieces of furniture. Our room had a television with a cable hook-up for those that just have to have their daily tube fix. If you have any questions about the Hotel Limpia you can check out the Hotel web page listed below.